Through shamanic study and personal experience, I’ve come to know that while some events in life are fixed through full participation of your own soul’s design prior to birth, most events are not. For example, your soul takes part in the decision as to who your parents were going to be, including general circumstances and challenges you will face on earth. You are also an active participant in choosing the karmic healing you long to accomplish with other souls, and with choosing the “soul essence” you are born with to share. There are sign posts set up in advance to guide your soul along the journey. These events are decided on prior to birth by you through mentoring of guides, Angels and the loving energy of God. 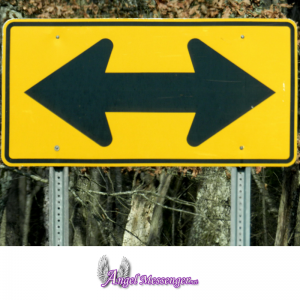 In order to trigger soul memory about what your soul is currently learning, or about to learn, sign posts are set up in advance. For example, a sign post can be as simple as seeing a yellow scarf on a woman who walks by. The woman unconsciously chooses to wear “a yellow scarf” because her higher self (soul) is part of your grand design. Noticing her yellow scarf awakens a subtle change within and triggers a new lesson about to occur, unique to your individual soul-path, and usually involves a heightened awareness of what is happening at the time. Sign posts often signify the entrance or exit of people in your life. I enjoyed a brief friendship with a Korean Ta i-kwon-do martial arts instructor and soon realized that his friendship was a “sign post” for me. The fist moment our eyes met, I felt a subtle shift in my energy. I thought it was simply physical attraction at first, but soon after we began to interact I realized his energy was meant to trigger my third eye awareness. Very clear and accurate clairvoyant visions began to occur just after we met, and suddenly I was conducting psychic readings in an entirely “new and improved” way.Our new and brief friendship was a “sign post”, one meant to be the energy which triggered a third eye adjustment, so I could move to my next level of shamanic practice. From my unique shamanic perspective, I’ve learned how souls create a few “outs”, set up in advance of being born. This means that certain opportunities occur in a lifetime which offer a choice to stay physically alive, or to exit and cross over back to spirit. The soul is always creating its own reality through free will, and many potential futures exist which are based on choices made in this current moment. Because the soul is aware of its omnipresent status, all experiences are about learning and evolving toward the loving energy of God. A soul is incredibly creative and powerfully able to design a desired life experience, including the decision to heal from disease or to die from one. We as souls are immortal and whole beyond our physical death, but awareness alone doesn’t buffer fear and dread surrounding loss of health and life. This is because our animal nature, the capital E for ego self, fights to stay alive during a threat of extermination. 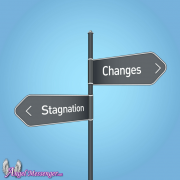 Ego will resist change during both physical death, and during transformational shifts while alive, and is why forgiveness and “letting go” is such a challenge at times. When a figurative door to something we desire slams shut, it is often with the resistance of our ego that we turn away to find a new door, and when this resistance is too much to bear, a certain emotional paralysis will occur where we may sit and wait and hope and want for that closed door to open again. However, a sign post with this resistance and a closed door is a strong message that it’s time to focus our energy elsewhere, and though doesn’t always mean that the door may not re-open again, one day, it does mean to let whatever is behind that door go, and to move on for now, to something else. If it’s easier to think of a sign posts as synchronicity, then exchange this word for the other. What is most important is to learn to recognize within significant moments when we are being divinely guided. The guidance can be subtle, for instance suddenly craving a hamburger and going to your favorite restaurant to order one, just in time to run into a dear old friend who is ordering a burger, too. There is a reason to meet your friend, and when you follow that intuition you find yourself flowing along meeting folks and experiencing events you are meant to. 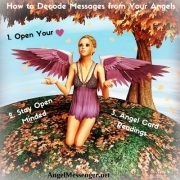 Just for today, it would be a very nice exercise to ask your Angels and Guides to lead you to whatever experience you are meant to have, and to meet with whomever people you are meant to meet. Request a “sign” that you are on the correct path, and watch with faith you will receive the sign. Allow, surrender, let go and receive – as you are guided. See what happens! I am so sorry to hear about your son and the accident. Hugs, love and light go out to you. Fawn wrote this article and she does readings. There is a link in her about Fawn box where you can view her website and even schedule an appointment. I just saw this street sign(the bi-headed arrow)today. I never need to go on this road but needed to make a detour to find help.I was running on a trail I like and a stray pitbull came running after me from the woods. Luckily, I calmed him down and he didn’t attack. I prayed for the angels *wink* to help. I feel like these are signs. Although, I’m not sure what they are pointing to. Thank you! What I needed to read!